The 4CIF Resolution format is common enough that it warrants some discussion. Image resolution becomes very important when discussing DVR compatibility. Most processors really don’t perform well when it comes to recording in a real time resolution. However, there are some units that are able to record in 4CIF on all channels in real time. This is an impressive accomplishment. Many DVR units only record at the CIF resolution at around 30 frames per second. Many people are already familiar with resolution because of digital camera technology. Resolution essentially measures the quantifiable amount of detail in an image. This is generally expressed in terms of pixels when talking about digital imaging. In a weird twist of fate, the term resolution is actually wrong in this situation. Industrial guidelines published in the United States and Japan state that the term resolution isn’t supposed to be associated with digital camera pixel counts. Few people would ever write the term “number of recorded pixels” as a label. Nevertheless, the translation of the Guideline of the Camera and Imaging Products Association states that it is preferable to resolution. While one might never come across CCTV that actually uses that name, it’s important to keep in mind just in case. On the other hand, most people are probably unaware of what the individual acronyms stand for. CIF means Common Intermediate Format. Some texts might refer to it as the Full Common Intermediate Format and abbreviate it as FCIF. CIF was supposed to standardized the vertical and horizontal pixel configurations in video signals transmitted to YCbCr color space sequencing devices. The idea was that one could easily convert these signals between the NTSC and PAL formats. PAL televisions are popular throughout many European, African and Asian nations. Consumers in the United States and Japan are far more familiar with the NTSC format. These standards were first proposed in H.261. That document set the gears in motion that would ultimately create the 4CIF resolution. It was ratified in November 1988, and it was the first member of the H.26x series of video code standards that the Video Coding Experts Group laid out. People that have been working in the surveillance industry for some time might also remember H.261 as being the first set of video codec standards that had any real practical use. It was originally set up to enable the transmission of video data over ISDN lines. Many modern security installations aren’t organized in this fashion. However, the 4CIF resolution is still a useful counting metric. The algorithm used to code the video was designed to operate at bit rates that were somewhere between 40 kbit/s and 2 Mbit/s. It should be noted that ISDN data rates are measured in multiples of 64 kbit/s. One of the more interesting aspects of H.261 encoding involves a trick where backwards-compatibility functions can be used to send still pictures. Graphics that are formatted for 704 x 576 luma transmission go through just fine. In 1993, the standard added a method for transmitting 352 x 288 chroma resolution images. These measurements are technically outside of the usual definition of the 4CIF resolution. However, the 4CIF resolution is defined as a 704 x 576 matrix. Some users have surely messed around with that little detail. The regular Common Intermediate Format resolution is defined as CIF at 352 x 288 pixels. Other resolutions in the standard are expressed as some measurement in reference to this base. The Sub Quarter CIF (SQCIF) format measures in at 128 x 96 pixels. Cameras that claim to use the Quarter CIF (QCIF) resolution should have a video resolution of 176 x 144 pixels. 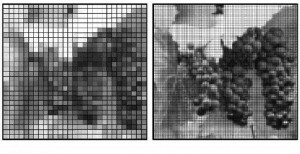 SCIF is measured at 256 x 192 pixels, but these small resolutions are generally rare in the CCTV industry. Thus the 4CIF resolution is considerably larger than the standard CIF resolution of 352 x 288 pixels. There are even large options for those that can handle them. The 16CIF mode is effectively double the 4CIF resolution and weighs in at 1408 × 1152. Needless to say, most equipment doesn’t enjoy real time functions in that size. Many CCTV experts couldn’t care less about this sort of nitty gritty technical discussion. They might be interested in the fact that some of their job can be done with software, however. There is an algorithm distributed under the LGPL license that can work as an H.261 encoder and decoder. The libavcodec contains numerous other codecs, and might be a useful tool for many surveillance engineers that want to interface different types of hardware. One could also probably use it to convert older video into an easy to read format. This particular algorithm enjoys support from the MPlayer multimedia player as well as the free VLC media player. The FFmpeg and ffdshow projects also interface with the H.261 standard. Even if vacation photos don’t show up in the 4CIF resolution, it might be worth it to grab a few of these pieces of software. 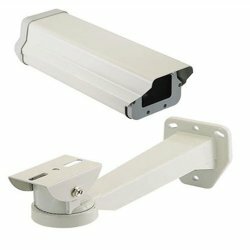 They can make a CCTV run more smoothly and eliminate incompatibility headaches. That being said, these problems won’t come up if all of the hardware was purchased together. The Security Camera King features several devices that natively support the 4CIF resolution. Linking devices that weren’t intended to work together usually causes compatibility related errors. The King has customers covered. Cameras and DVR machines that can function in the 4CIF resolution format will undoubtedly do so when the King has given them his seal of approval. The 4CIF resolution is sometimes called the 4SIF format. This can be very confusing, and isn’t entirely accurate. The Source Input Format (SIF) is essentially identical to the CIF, but it was taken from the MPEG-1 format as opposed to an International Telecommunication Union document. Regular SIF formats on 525-line NTSC display terminals will exhibit a resolution of 352 x 240. Things are a little different on 625-line PAL displays, where the format is practically indistinguishable from the CIF resolution. This means that the 525-line version of 4SIF isn’t the same as the 4CIF resolution, but the 625-line version of it essentially is. The SIF and 4SIF standards are pretty common in the world of video conferencing. Some users like to interface CCTV machines with video conferencing terminals. This can be particularly useful for anyone trying to quickly share evidence. Therefore, installers will probably want to keep those tips in mind. 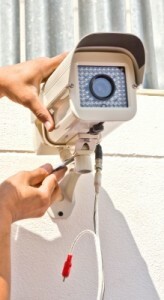 However, people that work with standard CCTV setups can usually ignore the additional advice. Most people won’t have much of a need to interface PAL and NTSC equipment together. Digital formats can sometimes handle this, but plugging an NTSC camera into a PAL monitor is a recipe for disaster. The inverse is also true. Some people have probably messed around with the PAL and NTSC settings on regular DVD players. When one does that, they quickly find out that the incorrect setting causes unpredictable results. Since the scan lines don’t match up, it often causes the video display to scroll up the back of the screen. This looks strange and might damage some terminals. While Video CD isn’t as popular a format for many people as DVD is, some surveillance engineers have probably worked with it. It’s important to note that these designers of these devices choose the SIF format for a reason. The 4CIF resolution isn’t directly compatible with the VCD format. Some programmers can probably work some magic to get them to work together. However, most people in the surveillance field wouldn’t care to convert 4CIF resolution encoded video to the VCD format anyways. SIF is displayed at 352 x 240 on 525-line displays and at 352 x 288 pixels on 625-line displays. This puts it at half the vertical display resolution of NTSC video. Likewise, it is half the horizontal display resolution of PAL video. Likewise, the format displays video at around half the resolution of a standard analog VHS tape. VHS tapes generally work around 330 x 480 on NTSC equipment and 330 x 576 on PAL devices. This information is important to keep in mind when one wants to use the 4CIF resolution with something that it wasn’t intended for. Those that are interested in interfacing the 4CIF resolution with other formats might be interested in reading more about the White Book CD standard. White Book defines the modern VCD and SVCD formats. The file system is supposed to be compliant with ISO 9660. The maximum length is usually around 74 minutes, which may or may not make it unsuitable for many closed circuit television applications. The audio and video are both compressed with the MPEG-1 format, though the SVCD format relies on the MPEG-2 algorithm for video compression. Since the audio is transmitted as a two-channel stream, White Book videodiscs are compatible with stereo recording equipment. Most DVR machines can record at the maximum frame rate in CIF resolution. Recording in the 4CIF resolution usually involves a reduction in frame rate. However, it provides an image that is literally four times as large. Therefore, one can get far more detail out of this sort of a picture. That extra detail is often necessary. This is especially true when large areas are being monitored. Detail can make up images that lack in other types of depth. However, there are other situations where one would primarily care about the way in which the images themselves recorded. Frame rate could be important. Streaming video to other people usually requires a pretty fast frame rate. This is necessary to avoid making the stream look choppy. Of course, frame rates in streams could end up being choppy anyways. The transmission speed has a lot to do with this. When transmission speeds decrease, frame rates probably won’t mean much. However, one also wouldn’t want to increase the size to full 4CIF resolution. This would simply make the problem worse by making the file size even larger. That’s why it might be best to stick to equipment that was designed to interface with the 4CIF resolution directly. A DVR machine that can accept a 4CIF resolution feed and record it without reducing the frame rate is a thing of beauty. Once in a while, people that use the 4CIF resolution will come across DCIF equipment. The Double CIF standard was supposed to be a compromise between CIF and the 4CIF resolution. It’s supposed to be more balanced in terms of vertical and horizontal display resolution. It was also supposed to be more compatible with common CCTV equipment. To that end it displays over 480 scan lines but tops out around 560. The pixel measure is exactly double CIF at 528 x 384. The 1:1.375 image aspect ratio is said to be closer to the standard of 4:3 while showing square pixels. CIF pixels are generally not truly square. Instead, they have a native image aspect ratio of somewhere around 1.222:1. A 1.2:1 aspect ratio was one a common standard for 525-line displays. That’s where the strange measurement probably came from. Many modern televisions display square pixels. This is also true of computer monitors. Since many people use modern equipment to display the 4CIF resolution, this can be a problem. Some 4CIF resolution equipment ends up looking somewhat stretched. This can be avoided by horizontally rescaling the 4CIF resolution rasters by approximately 109% to give a standard 4:3 aspect ratio. Standard CIF displays that transmit a video stream at 352 x 288 would thus end up displayed as 384 x 288 square pixels. It should be noted that some of this discrepancy might be explained by the fact that the H.261 outlines what are now considered to be legacy formats. Later standardization efforts have tried to refine the design and improve compression rates. Many engineers consider the H.261 outline to be obsolete. However, there are plenty of video conferencing terminals that continue to cling to it. It is offered as a backward-compatibility mode in many of these. Certain Internet video streams also use the format. The 4CIF resolution won’t be going away any time soon.